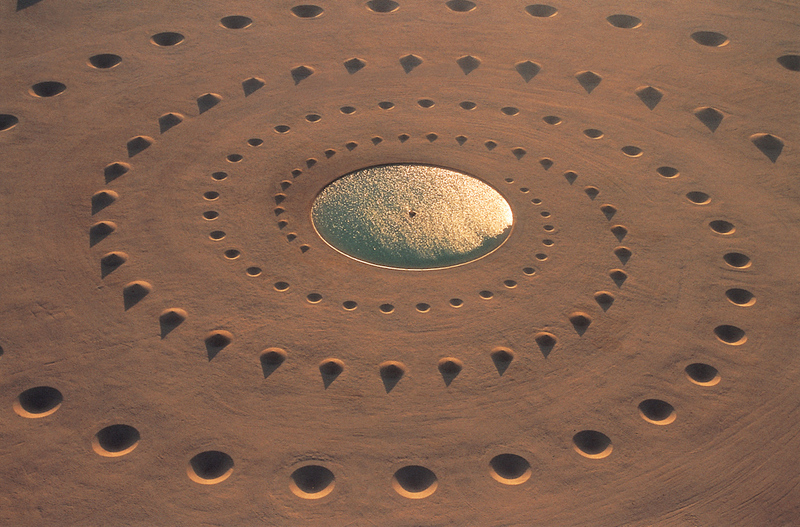 Located near the Red Sea in El Gouna, Egypt, Desert Breath is an impossibly immense land art installation dug into the sands of the Sahara desert by the D.A.ST. Arteam back in 1997. 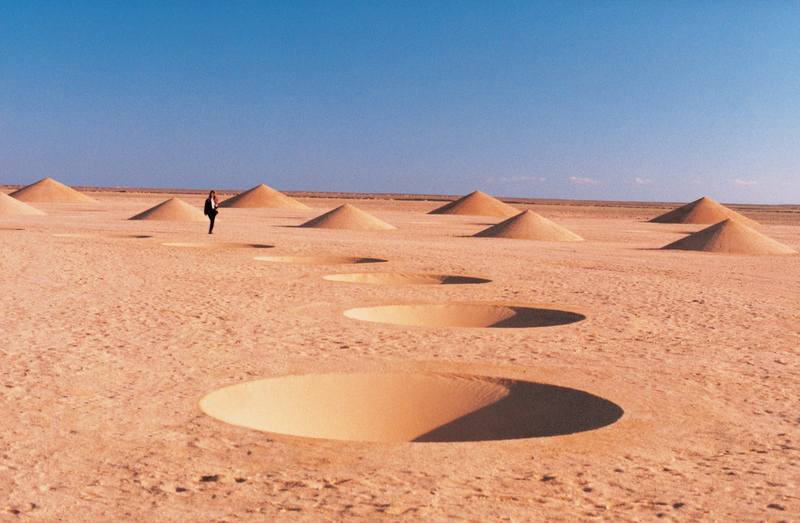 The artwork was a collaborative effort spanning two years between installation artist Danae Stratou, industrial designer Alexandra Stratou, and architect Stella Constantinides, and was meant as an exploration of infinity against the backdrop of the largest African desert. Covering an area of about 1 million square feet (100,000 square meters) the piece involved the displacement of 280,000 square feet (8,000 square meters) of sand and the creation of a large central pool of water.